For reporting abuse, neglect, or exploitation of children, the elderly, or people with disabilities. For information on becoming a foster or adoptive parent through DFPS. To provide peer counseling to runaways and family members. To provide peer counseling to youth and family members for family conflicts, delinquency, truancy, abuse and neglect, and running away. their lives after a hardship. S.T.A.R. Foundation is committed to operating group homes that have high professional standards, Christian ethics, and provide a safe and nurturing home environment for children and adults. In showing God’s love to our residents, they will have a renewed foundation to build on. S.T.A.R. Foundation is to set the standard for quality, Christian group home facilities that will provide loving, home like environments for the residents we serve. S.T.A.R. Foundation will address the needs of the whole family’s mind, body, and spirit by giving our clients a new foundation for a better life. S.T.A.R. 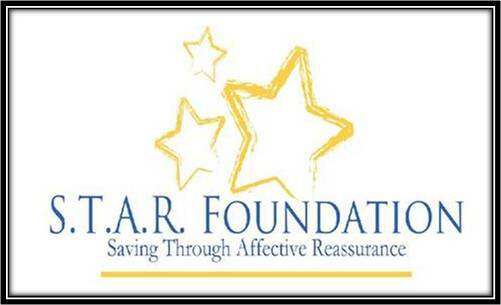 Foundation is in the process of opening our first Non-Profit (501c3 in progress) foster group home in the Houston, TX area in the fall of 2012. We will serve girls ages 14-18 years old that have been abused, neglected, and/or on juvenile probation. Our children will come primarily from Children’s Protective Services, but may also come from other local or Out of State agencies. Our caring staff will help the children adjust to what-ever permanency goal that has been set for them. Whether it is returning home, adoption, Preparation for independent living, or returning to a juvenile detention center. Our next homes will service adolescent boys, and in the future, adults and families. I am glad you asked. Your help is not only greatly appreciated but it is needed. As you know, being a successful organization, takes the support of established businesses is necessary as it provides for necessary start-up costs. We have various ways you can help our girls: one-time donations, In-kind donations of goods and/or services, annual, quarterly, or monthly donations, and fundraiser sponsorship. We have several upcoming fundraisers , detailed information will be sent to you with dates, times, and sponsorship information. The Board of Directors, staff, volunteers, and all the children of S.T.A.R. Foundation appreciate you taking the time to learn more about our organization. We value your continued support.